I would definitely recommend anyone thinking of having a smile makeover to come here. It was the best thing I have ever done. I feel very confident now and I love my new teeth. They look so natural. Crooked teeth are one of the biggest problems we see. Many people regret not having a brace when they were younger and wrongly think that nothing can be done when they are adults. 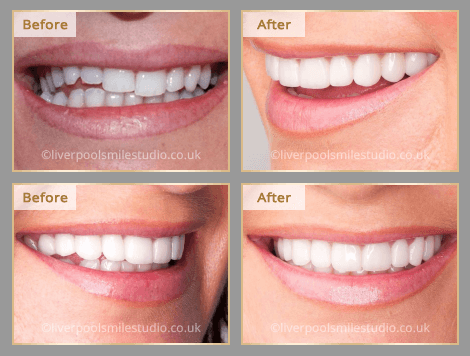 There are many treatment solutions, from adult braces to veneers, which can straighten teeth in a very short space of time. Becci was concerned about the sloping nature and uneven appearance of her teeth. She wanted the perfect smile for her wedding day. 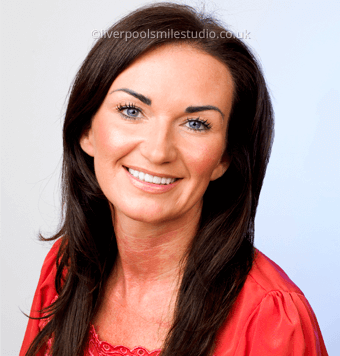 This smile makeover was achieved with ten ceramic veneers produced by 'Frontier' Dental Laboratory, California, USA.